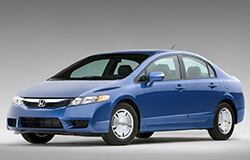 Honda’s have an outstanding track record for being safe, reliable, affordable, and durable. They can last almost a lifetime if maintained appropriately. At Dave’s we have a team of ASE certified repair specialists who are consistently trained and updated on all makes and models. We hire professionals who are not only knowledgeable and experienced in auto repair and maintenance but who are car enthusiasts as well. Our team uses the same tools and advanced state of the art diagnostic equipment as your local dealership. Having the right shop maintaining and servicing your Honda can make all the difference. Dave’s Ultimate Automotive of Pflugerville, TX is your local dealership alternative for Honda repair and maintenance service. Call (512) 989-3283 or stop by 900 Pecan St W, Pflugerville, TX 78660 anytime and we will be happy to help with any service you may need. Factory scheduled maintenance is performed in intervals of 30,000 miles on average and certain services are performed at each interval. Maintenance requirements vary from car to car and are outline within your owner’s manual. At Dave’s we understand that while these services are necessary some things may need attention earlier or later than suggested by the manufacturer. These service intervals are affected by the way you drive, where you drive, and how often you drive. Dave’s takes these factors into consideration when created individualized maintenance plans. We will effectively maintain performance and fuel efficiency while extending the life of your vehicle with timely maintenance and service. You don’t have to take your vehicle to the dealership to maintain your factory warranty. Our goal is to keep your Honda out of the shop and avoid costly repairs and unexpected breakdowns. Talk to one of our Honda repair technicians today and get your personalized maintenance plan. Dave’s isn’t your average Honda repair shop. We have served the community since 1997 and are family owned and operated. We have earned a place in the NAPA AutoCare Program. THat means, our repairs are covered nationwide. Angie’s List awarded us the Super Service Award, and we have earned 100% on all AAA service surveys. We don’t talk about customer service, we deliver. Our customers are more than that, they are family and we make sure to take care of our family. We have a reputation for being fair, honest, reliable, and reasonable. With ever service, we give a complimentary safety inspection. The inspection covers your vehicle from bumper to bumper including belts, hoses, fluids, brakes, and alignment. We will let you know what services are necessary immediately and which ones can wait. Let us help you get your car on the right track. Don’t waste time and money at the dealership, bring your Honda to Dave’s of Pflugerville, TX. We have a great reputation and want to be your local Honda repair and maintenance dealership alternative. Local shuttle service and loaner cars are available upon request. Do not delay call or schedule service online today. …And Much More – Just Ask!